Larry was again on the road in early February where he traveled to the 22nd annual LEARNTEC event in Karlsruhe, Germany from 4-6 February 2014. LEARNTEC is the leading international trade fair and convention for learning with IT. Larry knows that eLearning has turned from a trend to an essential component of integrated educational concepts needed in organizations today. 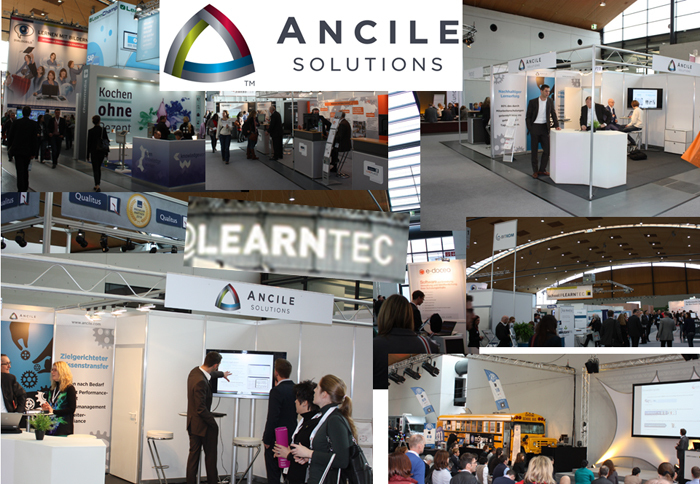 ANCILE was excited to have an exhibit at LEARNTEC, and thrilled to see so many existing clients at the event. It was also a great opportunity to show a new audience focused on eLearning how uPerform and uAlign can meet the increasing demands placed on organizations today to provide training and enhanced performance support for their workforce.